According to Counterpoint Research (@counterpointtr on Twitter), the OPPO R15, which is powered by the MediaTek Helio P60, was the top-selling smartphone in the Chinese market during Q2 (April-June) 2018. This equates to 1 of every 20 smartphones sold during that period was an OPPO R15. Congratulations on the incredible result! In addition, Tecno Group (including Tecno Mobile) raised its rank to number 8 in worldwide shipments during Q2 also with a 59% YoY growth to 4.4M units. Tecno has committed a long-time focus on African smartphone markets, with recent expansion into South-East Asia, South America and Indian markets. Its smartphones offer leading designs, such as the stunning Camon X Pro, which is powered by MediaTek Helio P23. 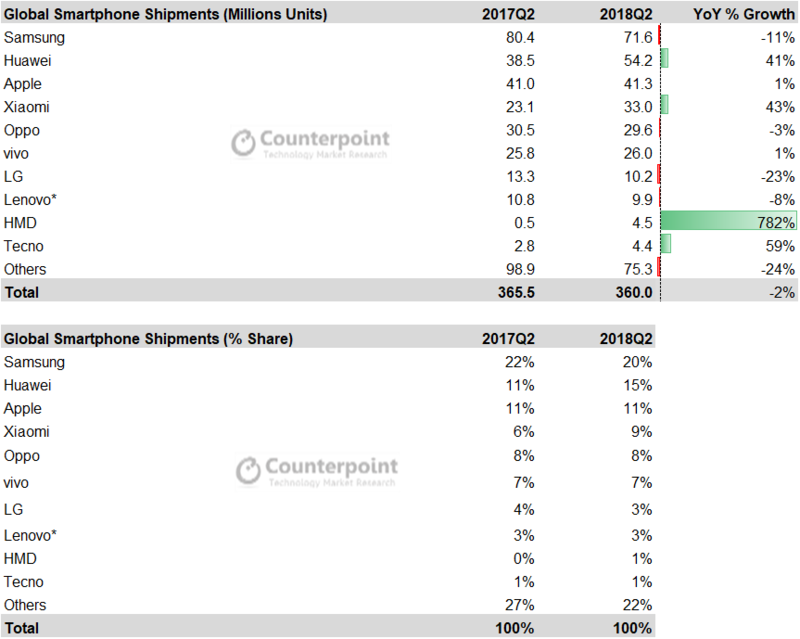 Read Counterpoint Research smartphone report.